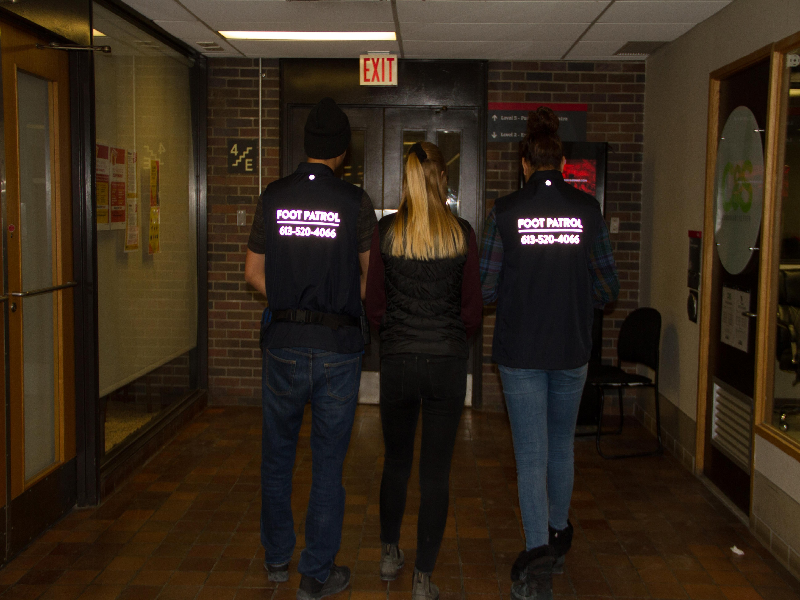 Foot Patrol offers safe walks, the Walk and Talk service, event safety support through Foot Patrol event teams and the Guardian Program, and the Borrow a First Aid Kit service to the Carleton community. Our volunteers are dedicated to ensuring all members of the Carleton community feel comfortable at and heading home from Carleton’s campus, events, and anywhere in the greater Ottawa region in the evenings. To ensure fast and reliable communication between Foot Patrol teams and our dispatcher, Foot Patrol uses radios whenever our volunteer teams are deployed. Due to budgetary limitations, Foot Patrol has been renting our radios over the past five years at a significant annual cost to the service centre. With your support, Foot Patrol intends to make a one-time radio purchase to replace Foot Patrol’s rented radios. Foot Patrol was created in 1990 to ensure students felt safe walking home in the evenings. Over the years, we’ve significantly expanded our services and hours as a result of student demand. We currently operate seven days a week from 6:00 PM to 2:00 AM. In 2014, our continued expansion resulted in a need to modernize our equipment. At the time, this was only fiscally achievable by entering into a five-year radio rental agreement. With your support, we can purchase our own equipment. Funds raised will be used for a one-time purchase of seven Motorola XPR 7550 radios in July 2019, for a total cost of $10,334.42. We’ve set a $6,000 goal for our Future Funder as our yearly radio rental budget line is sufficient to fund the remainder of the purchase. Supporting Foot Patrol allows us to eliminate our annual radio rental expenses to prioritize new initiatives that directly benefit the Carleton community.